That is the blunt assessment of the UN Secretary-General's report on NCDs, published last week. The report’s mandate is to set out the progress achieved since 2014 in implementing the outcome document and political declaration of the two meetings to date of the UN General Assembly on NCDs, in 2011 and 2014. The third UNGA meeting on NCDs will be held later this year. 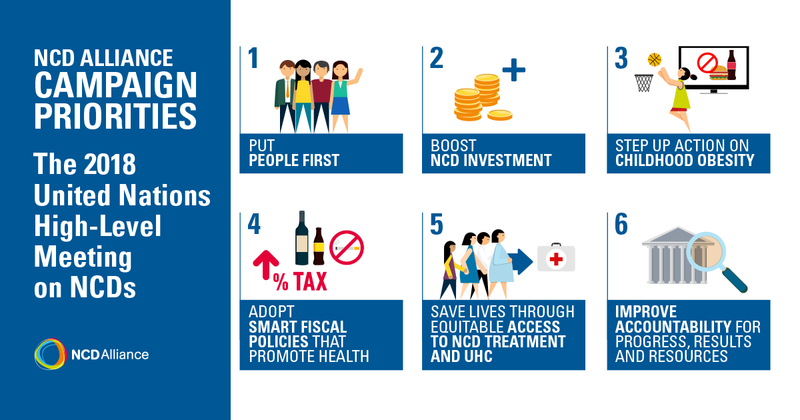 The report calls for for bolder commitments, and makes recommendations on key NCDA campaign priorities such as urgent need for greater investment for NCDs and scaling-up implementation of WHO’s Best Buys, including fiscal measures such as taxation of tobacco, alcohol and sugar sweetened beverages (SSBs). It addresses key barriers to progress such as weak political action at the highest level, consequent lack of policy coherence across government sectors and insufficient integration of NCDs into national plans and strategies for sustainable development, resulting in insufficient resource mobilisation domestically and internationally. The report also emphasises the need to address commercial determinants of health, including industry interference, but also economic, investment and trade policies, and highlights the importance of upstream policy action, including a much stronger role for the UN system. “Political leaders around the world have a choice – they can either sleepwalk into a sick future as they are currently doing, or they can decide that hundreds of millions of lives are indeed worth saving." - NCD Alliance CEO Katie Dain. 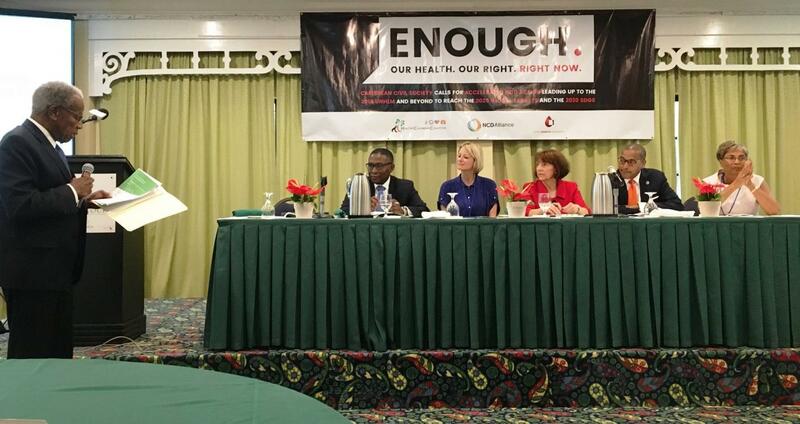 The NCDA CEO, Katie Dain, described the report as yet another call for UN member states to realise the gargantuan impact of NCDs on the health of their people and economies, and to take action. “Political leaders around the world have a choice – they can either sleepwalk into a sick future as they are currently doing, or they can decide that hundreds of millions of lives are indeed worth saving," Dain added. The Secretary-General’s report notes the NCD Alliance's work as a leading civil society organisation, and includes descriptions of the two NCDA global civil society forums, held in 2015 and 2017 in Sharjah. 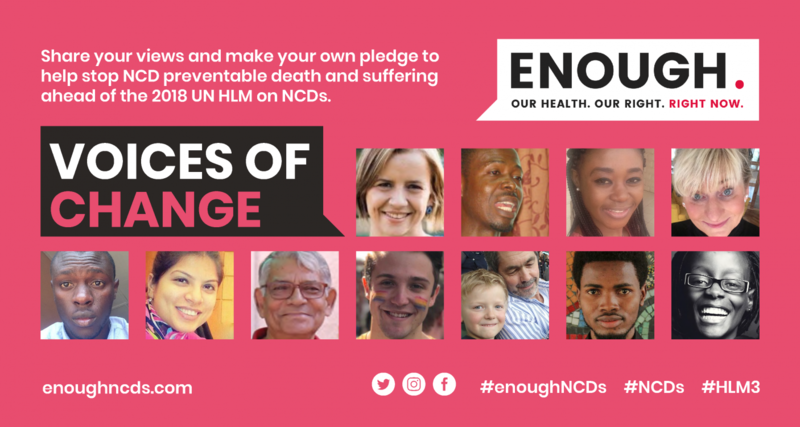 “Acting in unity to address non-communicable diseases demands a renewed commitment to work together across sectors and platforms... The bar is raised high for 2018, as progress since 2011 has been insufficient and highly uneven,” concludes the report.